It’s no secret that the area around Cookeville, Tennessee, is home to some of the best motorcycling in the Southeast—maybe even in the country. But this is a relatively new development. Before diving into what this incredible region offers motorcyclists, it’s important to understand the geography that makes it so special. Cookeville is situated on the western edge of the Cumberland Plateau, which spans from northern Alabama through Tennessee and into Kentucky. The plateau has an average elevation of 1,400 feet and has been deeply dissected over millions of years by erosion. Today, the sandstone plateau is characterized by ravines, waterfalls, and caves that make it geographically unique in Tennessee. The Cumberland Plateau gives way to the sheer Appalachian Escarpment to the east, which leads the plateau down into an area known as the Ridge and Valley Appalachians. In other words, the Cumberland Plateau is anything but flat, meaning its roads are intricate, winding, and remote. The plateau’s naturally occurring features have played a huge role in attracting riders from across the country. 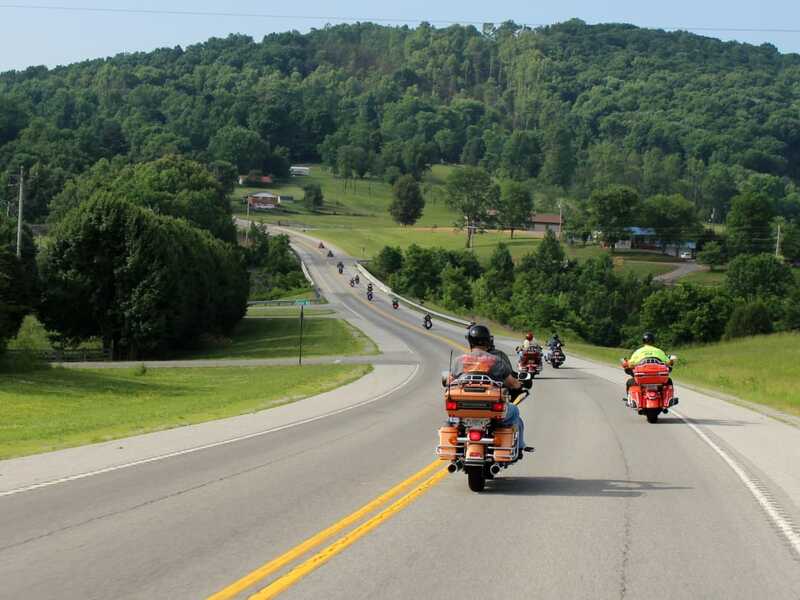 Natural beauty aside, plenty of people are working hard to make sure that the Cumberland Plateau and the Cookeville area continue to grow as a motorcycle destination. 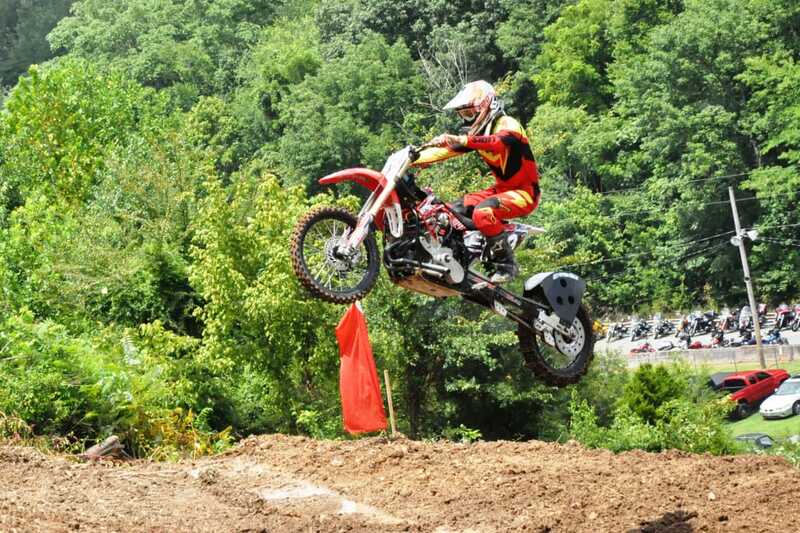 In the past several years, Cookeville has hosted several major motorcycling events, such as the Tennessee State H.O.G. Rally (2012, 2014, 2015) and the first-ever Southern Backroads H.O.G .Rally, -the Silent Service Motorcycle Club’s National Rally, Southern Cruisers’ Tennessee State Rally, and others. Cookeville is even a designated stop on the annual Run for the Wall veterans’ motorcycle event, a 10-day cross-country journey with participants riding in honor of POWs, KIAs, and MIAs. 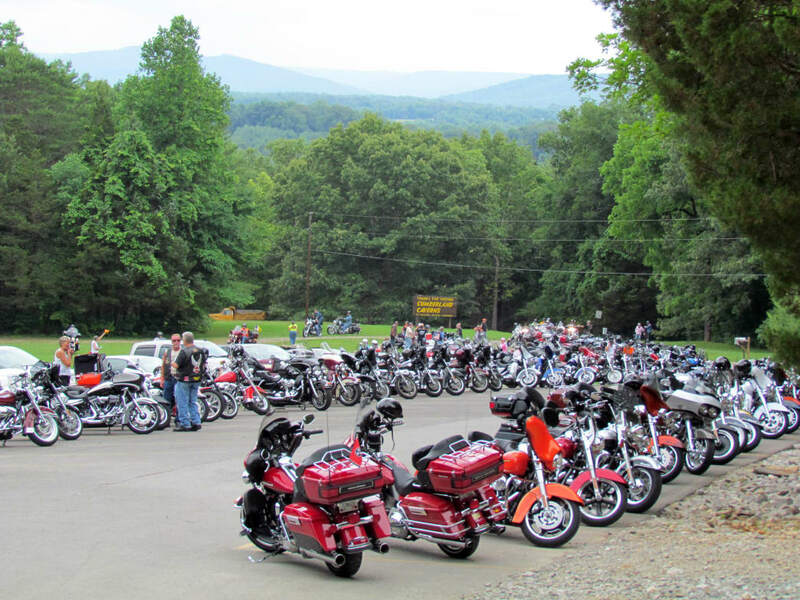 Strides continue to be made, expanding both the motorcycle-touring community and other two-wheel, family-friendly, moto-tourism events in the area like American Motorcycle Association (AMA) Hillclimbs, often referred to as "Thunder in the Holler." Pros and amateurs of all ages risk thrills and spills as they scale a steep, 550-foot dirt incline, nestled among the picturesque backdrop of Buffalo Valley. 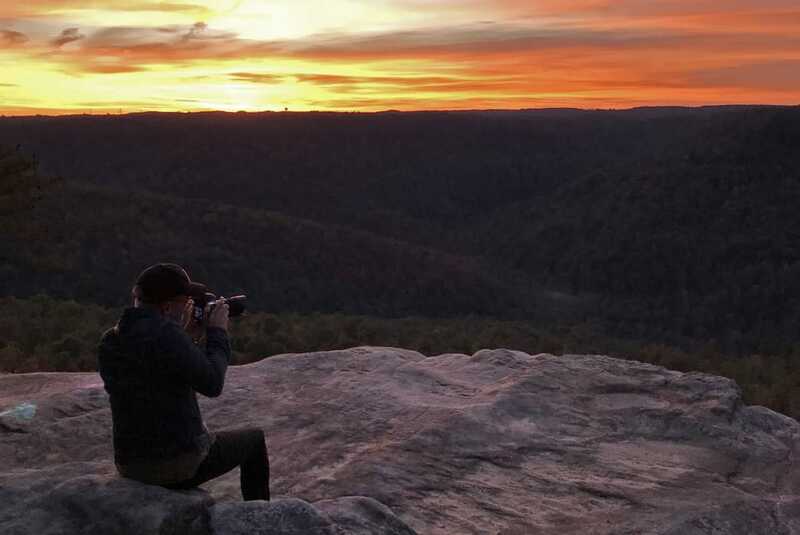 In order to help visiting riders experience the beauty of the plateau more thoroughly, the Cookeville-Putnam County Visitors’ Bureau has created a series of a dozen designated rides known as the Tennessee Twelve. This way, riders who are new to the area can "Carve the Cumberland" on pre-planned routes and discover all that the region has to offer. Each route on the Tennessee Twelve offers something different, and ranges from 67 to 184 miles round trip. Each of the routes begins and ends in Cookeville, located conveniently on I-40, making it easy to treat the town as a destination or part of a larger trip. For example, the 149-mile route of "Over the Lakes & Through the Parks" does not lead you to grandmother’s house, but to scenic landscapes of the Upper Cumberland’s waterways and waterfalls, historic and charming small towns, and through some of Tennessee’s most renowned state parks and naturals areas. Center Hill and Cordell Hull Lakes, Rock Island, Edgar Evins, and Burgess Falls State Parks are among the countless points-of-interest along this captivating and curvy ride. Meanwhile, music lovers will find their Cumberland bliss on the "Byway to Bluegrass," a 105-mile circuit through Lester Flatt’s hometown of Sparta and on to Smithville, which hosts the Fiddlers’ Jamboree and Crafts Festival. Time your trip right and you might even be able to catch a show at Cumberland Caverns, a spectacular cave system that doubles as an underground concert hall, 333-feet below the earth’s surface. And who wouldn’t want to spend a couple of days exploring the Cumberland Plateau’s most stunning waterfalls on the 178-mile "Famous Falls" ride? This route’s first stop is Burgess Falls, a gushing 250-foot waterfall set amid a quintessential southeastern forest. Afterward, you’ll continue on to the Great Falls of the Caney Fork River followed by the widely known Fall Creek Falls State Park before wrapping up your tour at Crossville’s Ozone Falls. These falls are just a few of the more than 150 documented waterfalls surrounding downtown Cookeville.The other nine rides on the Tennessee Twelve are just as unique and diverse, and made to suit all different interests. While people may be coming for the switchbacks and natural splendor, they’re certainly staying for the hospitality. Cookeville’s moto-tourists will find accommodations to fit every budget and travel style. With 19 hotels plus unique bed & breakfasts, there’s always somewhere to rest your head after a long day of riding. As for dining, over a hundred restaurants ensure that there’s no shortage of options. "Part of what makes it so appealing for riders is the availability," Bagwell says. From sushi to southern-fried, they’re cookin’ in Cookeville. Be sure to check out several stops in the area on the Tennessee Barbecue Trail. 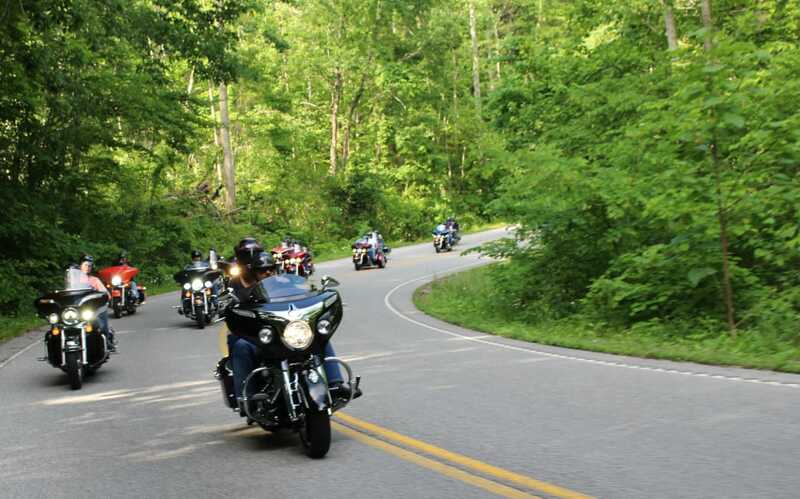 Whether you prefer to ride solo or join thousands at a rally, stay in a comfortable hotel or a boutique bed and breakfast, gaze at waterfalls or enjoy a history lesson, you’re sure to find the perfect motorcycle getaway in Cookeville. Its unique landscape, beautiful backroads, and southern hospitality will keep you coming back again and again.